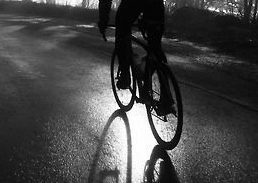 This fantastic read suggests how to get a premium workout and keep up your cycling schedule while stuck indoors during the wintertime. As I’ve mentioned before, this isn’t a problem that I specifically face because I live in San Diego, California. However, many of my friends and readers live in climates that require them to train exclusively indoors throughout the long, dark, and cold months of winter. Below are suggestions put forth by the article mentioned above that I wholeheartedly agree with. 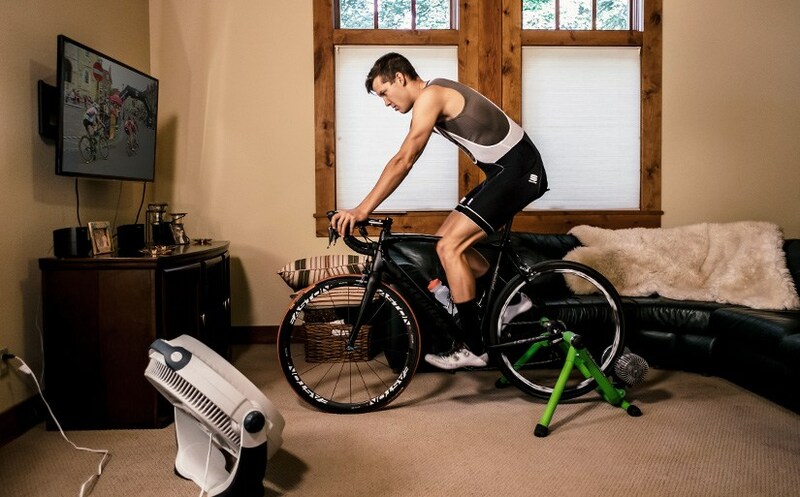 Take a look at the tips and tricks below to maximize your indoor cycling workout! Do four one-minute fast-pedal intervals: Use an easy gear and as high a cadence as possible. Keep your rate of perceived exertion (RPE) low—5 out of 10. Recover for two minutes between efforts. Do 10 to 12 intervals of 30 seconds on/30 seconds off. The “on” portions are 95 percent effort (RPE 9 to 9.5) at as high a cadence as possible. Stand or sit as needed. For the “off” parts, spin easy. Make it harder Add one on/off interval, up to 20 total. Simulate a hill by raising the bike’s front wheel. Ride 10 minutes at a pace you can hold for an hour (90 to 100 percent of threshold power or heart rate; RPE 8). Once every two minutes, stand and attack for 12 to 15 pedal strokes—a near all-out effort. Spin easy for 10 minutes. Repeat (do three fast efforts total). Make it harder Try 2×15 minutes (10 minutes recovery), then 3×12 (six minutes recovery), then 2×20 (10 minutes recovery). 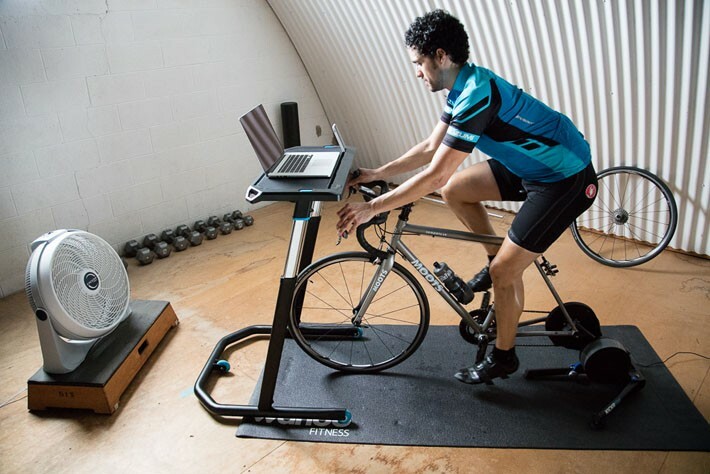 Pedal for four minutes at RPE 8 (90 to 100 percent of threshold power), then three minutes at RPE 9 (100 to 110 percent of threshold), then one minute allout (115 percent of threshold). Spin easy for five minutes. Pedal one minute all-out, then three minutes at RPE 9, then four minutes at RPE 8. Make it harder Add 30 seconds to each rung of the ladder, then a minute. If money is no object, Applegate recommends E-Motion rollers ($850; insideride.com), which best simulate outdoor riding. They’re mounted on a sliding sled and equipped with bumpers so you can stand up and hammer without sailing into the TV. Otherwise, go with a resistance trainer ($200 to $700, although PC-compatible models can run a grand or more). 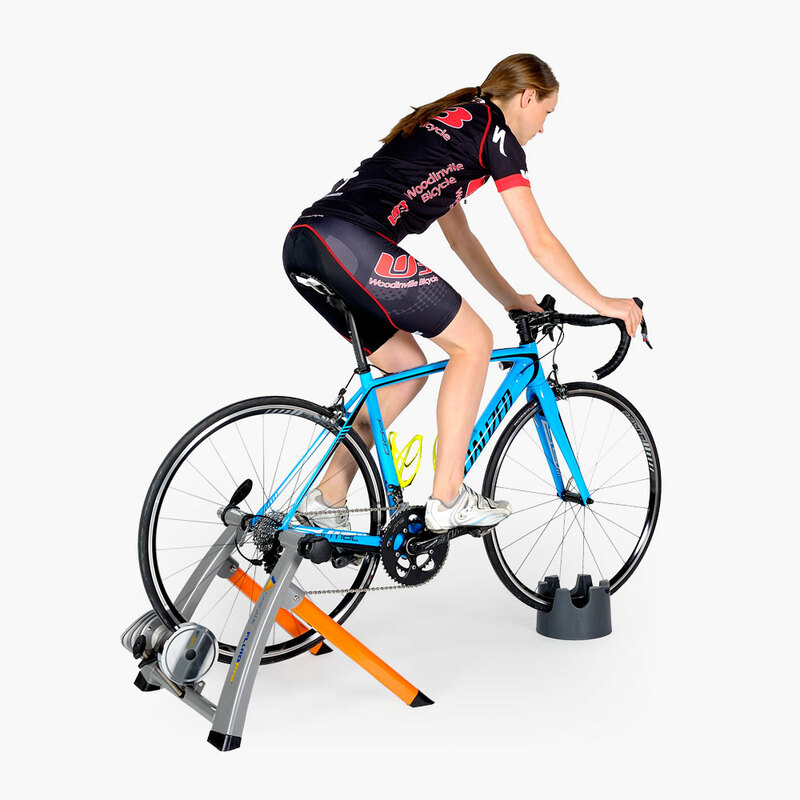 “Fluid trainers are the smoothest, but they’re more expensive than magnetic,” Applegate says. How much space do you have? Certain models (such as the E-Motion) aren’t easily tucked away in a closet. Others are more compact or fold for simple storage. Some trainers (including wind trainers) are oppressively loud. Try before you buy. 1. Water Expect to drink more than you would outside. 2. Fans Keep your body (and your back tire) cool. 3. Rubber mat You’ll drip sweat, and your trainer might skid as you hammer. 4. Towel Drape it over the frame to protect it from moisture. 5. Phone book You can buy bike-specific risers to level the wheels, but the white pages work just as well. 6. Entertainment TV, iPod, training buddy. My hope is that this excerpt from the article from bicycling.com gave you some inspiration to continue training indoors and preparing for the sunshine coming in just a few short months. Many thanks for following along and happy cycling!